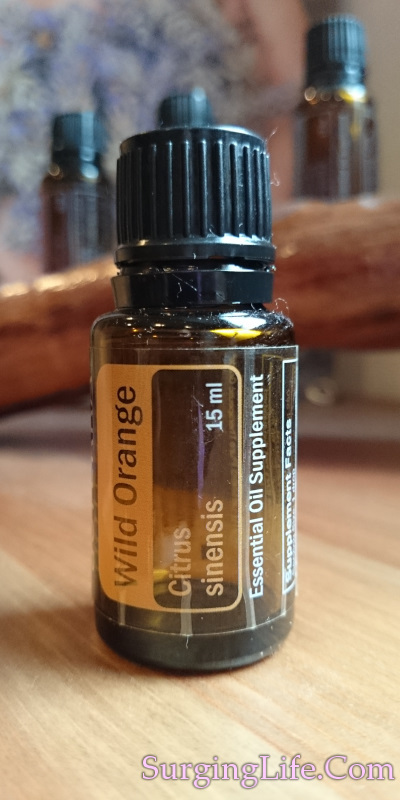 Orange Essential Oil is derived from the Citrus Sinensis species of Orange, also known as Wild or Sweet Orange. The warm uplifting aroma of this oil has a good effect on the mind and emotions, and is beneficial in treating depression and stress, usage topically or within an aroma diffuser provides a good source of speedy stress relief. It is beneficial in helping with the treatment of cancer for various reasons. Whilst amongst other things its effect on skin condition is notable too, the are many more uses and you can discover about Orange Essential Oil Uses and the sweet benefits of this lovely oil below. Citrus Sinensis is an evergreen flowering tree which commonly grows to around 10 meters in height. It has oval shaped leaves which vary between 4 and 10 centimeters in length, are alternately arranged and have crenulate margins. In season the flowers produced are white in colour with five petals arranged like a five pointed star. The familiar fruit is almost spherical in shape and orange in colour. The essential oil is gained via cold pressing the peel of the fruit. Some companies gather the oil as a by product of juice extraction, using a centrifuge to separate it from other fluids and materials. The oil itself is yellow to orange in colour and clear in nature, with a thin or watery viscosity. The aroma has a top note and a refreshing, tangy yet sweet character. The main constituent which yields the useful properties is limonene, which accounts for over 90% of the composition. In some cases up to 97%. Other components which provide beneficial value are a-pinene, sabinene, myrcene, octanal, linalool, δ-3-carene, citronellal, decanal, neral and geranial, though these all vary in amount from tree to tree. Limonene can be a mild irritant, as such it is worth patch testing this oil on the skin prior to usage. In the main it is considered a safe and pleasant oil to use though. "The blood orange volatile oil was formulated into an emulsion (BVOE) and examined for its effects on viability of colon cancer cells... The results of this study provide persuasive evidence of the apoptotic and anti-angiogenesis potential of BVOE in colon cancer cells. The extent of induction of apoptosis and inhibition of angiogenesis suggest that BVOE may offer great potential for prevention of cancer and may be appropriate for further studies." Chidambara Murthy KN, Jayaprakasha GK, Patil BS. Orange Essential Oil uses may seem difficult to think of for many people, it is a very useful oil though. Whilst it is a diuretic it does a lot more in connection with that. For a start it helps to balance water retention in cases of obesity, it also helps to stimulate and cleanse the lymphatic system and eliminate toxins from the body, making it an excellent choice when doing a detox or body cleanse. It also has a wonderfully uplifting effect, its warm and vibrant aroma eases off nervous tension, depression and stress, whilst also helping with insomnia. The tonic and anti-depressant effects come through quickly from the first time you inhale this wonderful oils aroma. Whatever you are doing and treating this brings benefit. This is especially true when treating depression and stress. Though it is also incredibly useful when using the diuretic quality and doing detoxification and body cleansing to help treat obesity. With obesity there is often a negative emotional component, dealing with that, and creating a happier frame of mind, helps to create the healthier body desired. Orange essential oil has a good effect on the skin. When it is dull and oily Orange helps to cleanse and revitalise it. It also helps to reduce wrinkles and signs of them through its action on the skin. If you combine body cleansing and detox with use in a skin regimen then you can improve your skin from two directions, as internal bodily toxicity levels have a big impact on skin quality. Its action on the digestive system is of note too, helping with both constipation and diarrhea, two conditions which are polar opposites. When using this oil for whatever use you will get the benefit of the uplifting warm nature it has. This ability to ease tensions from the mind, whilst also revitalising the mind and body is an incredibly good thing. For a lot of people stress and tension slips into life from many directions, as does fatigue. Orange helps you to overcome those things whilst you are treating other things at the same time, very useful. Getting the best results in terms of the various Orange essential oil uses depends on quality as much as anything. Using a good quality source will give you far more benefit in terms of positive results. If you wish to use quality then check out where to buy quality essential oils here. You can discover more on various essential oils here.